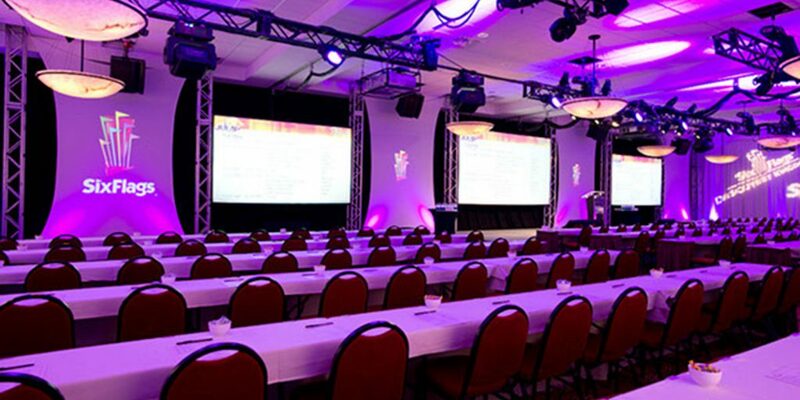 Bring your next group event or meeting to the most unique conference venue the area has to offer. Six Flags Great Escape Lodge & Indoor Waterpark is Lake George’s premier location to host group events, bus tours, holiday parties, and meetings. Call the Six Flags Great Escape Lodge sales department at 518-824-6042, or fill out the online Request For Proposal to begin planning your event today!